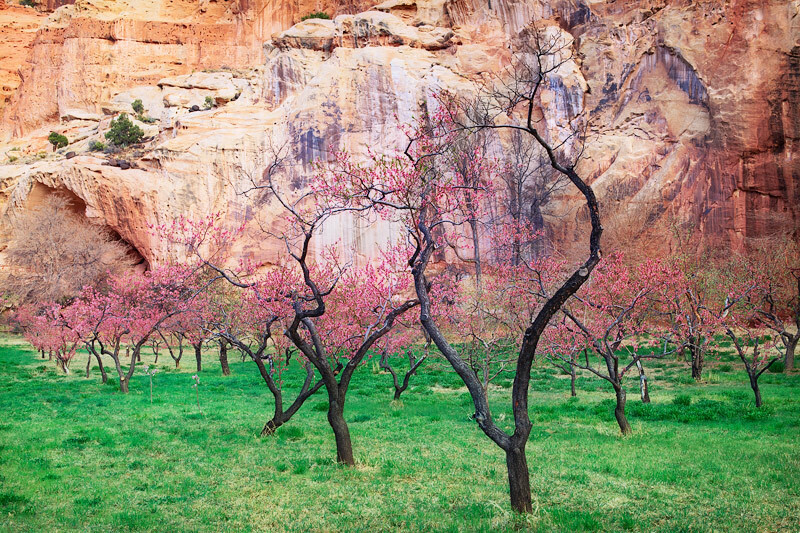 The orchards in Capitol Reef National Park were cultivated by Mormon settlers during the 1870's with the last family moving out in 1969. The orchards are probably the hallmark feature of the park and are particularly beautiful during the spring. Photo © copyright by Michael Greene.